Hold your weave down, gays: Cher is coming to metro Detroit on Monday, Oct. 31 to headline a fundraiser for Hillary Clinton’s Democratic presidential campaign. The event will be held at the Bloomfield Hills home of attorney Joumana Kayrouz. Kayrouz, who can be seen in billboards across the Detroit area, told the Detroit News she’s expecting 300 people at her home to meet Cher and support Clinton. The benefit is a joint fundraiser between the Clinton campaign, the Democratic National Committee and state Democratic parties and will benefit the Hillary Victory Fund. 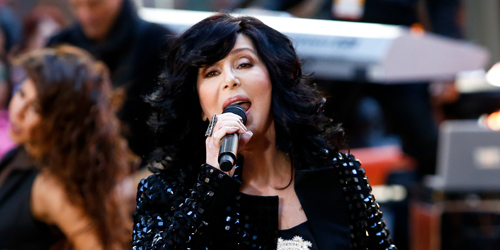 Donations range from $5,000, which includes event recognition, host reception and a photo with Cher. Attendees who donate $1,000 will also get a pic with the icon. Other contributions include a $250 “supporter” ticket and $125 “friend” ticket. For more information or ticket availability, follow this link.